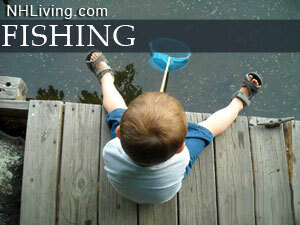 New Hampshire offers saltwater fishing and freshwater fishing. The seacoast area features deep sea fishing tours. The Atlantic Ocean Continental shelf is world famous for deep sea favorites like; tuna, haddock, shrimp and others. Minutes from the ocean you can find trout streams, bass ponds and lake fishing opportunities. Ask us about NH Fishing or share comments. To feature your business, contact us.